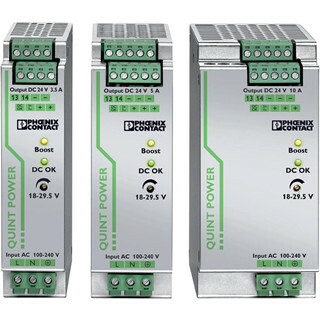 QUINT POWER circuit breakers magnetically and therefore quickly trip at six times the nominal current, for selective and therefore cost-effective system protection. The high level of system availability is additionally ensured, thanks to preventive function monitoring, as it reports critical operating states before errors occur. 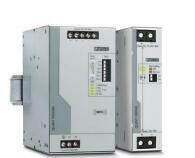 Reliable starting of heavy loads takes place via the static power reserve POWER BOOST. Thanks to the adjustable voltage, all ranges between 5 V DC … 56 V DC are covered. 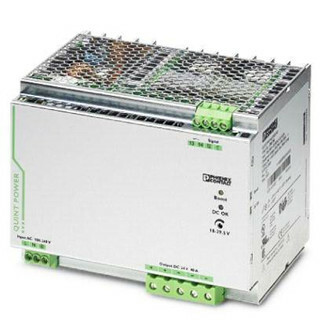 We mainly supply Yokogawa, Emerson, Rosemount, Honeywell, Siemens, ABB, FLUKE, Endress+Hauser, SchneiderElectric, Moeller, FUJI,Omron, Pepperl+Fuchs, Hima, Yaskawa, Norgren, CHINT, Hach, Weidmuller, Phoenix, MTL, SMC, Testo, Rockwell,etc.